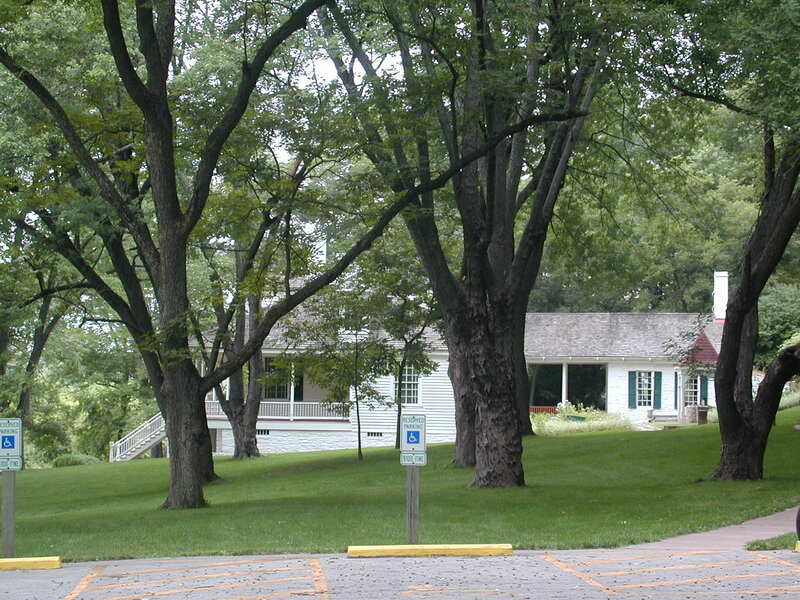 Day Four was the day I went off to the Mississippi River area south of St. Louis, looking at Illinois Caverns State Natural Area, stopping at a few historic sites and the tiny town of Kaskaskia, which was Illinois' first capital. That took pretty much all day, so it was back to Marion for the night. The first stop of the day was at Illinois Caverns, which you really had to look for to find. 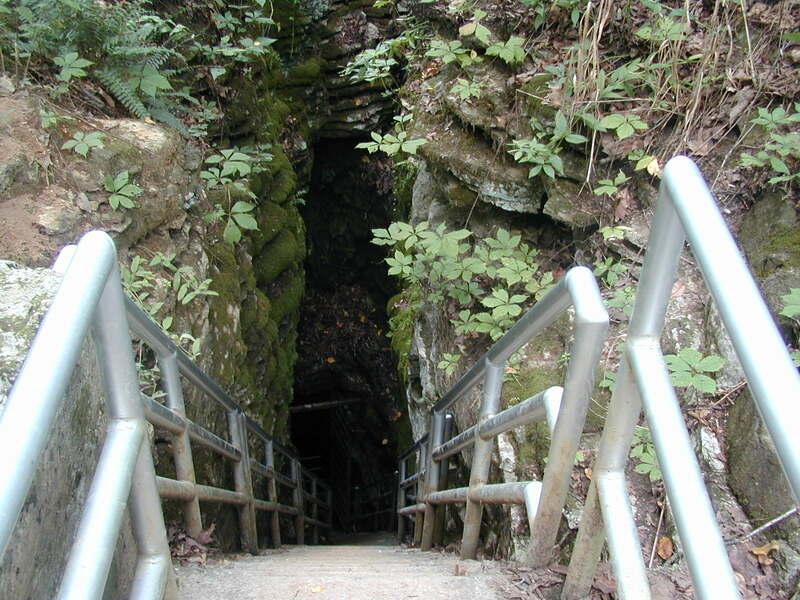 This is the entrance to the cave. I went down and was so black I couldn't see 5 feet in front of me. So I went back to the office and found that I needed gear and four people in a group to go down. So much for that idea-- there was no one in sight. So sad. Down the steps into the abyss of the cave. This cave is one of at least 100 in Monroe County. That's pretty cool. But it is the only one that is open to the public. 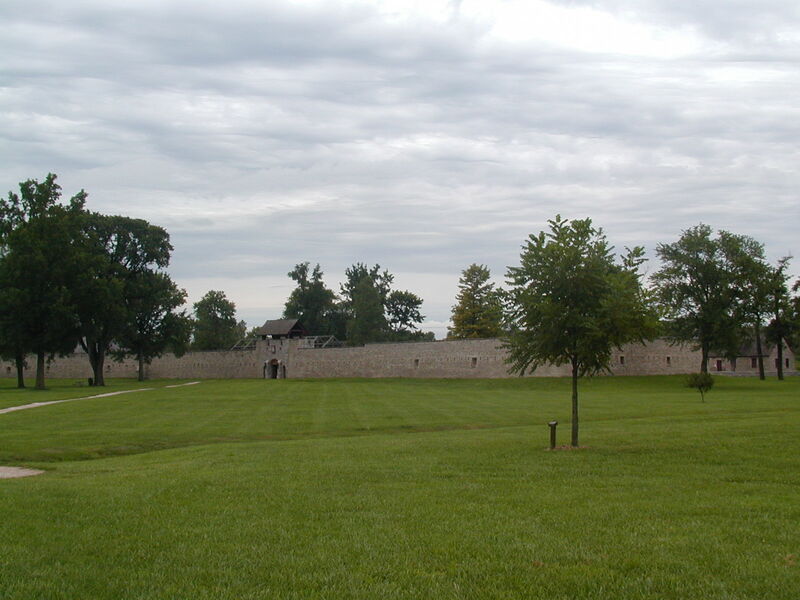 A little further down the Mississippi is Ft. de Chartres, which the French, British, and American forces occupied in the late 1700s. It was built in the 1750s. 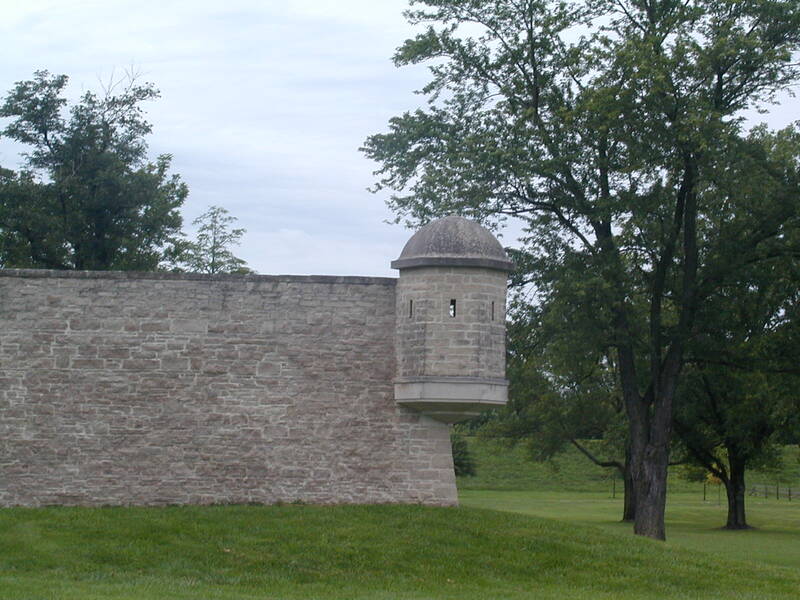 The whole fort is a reconstruction. 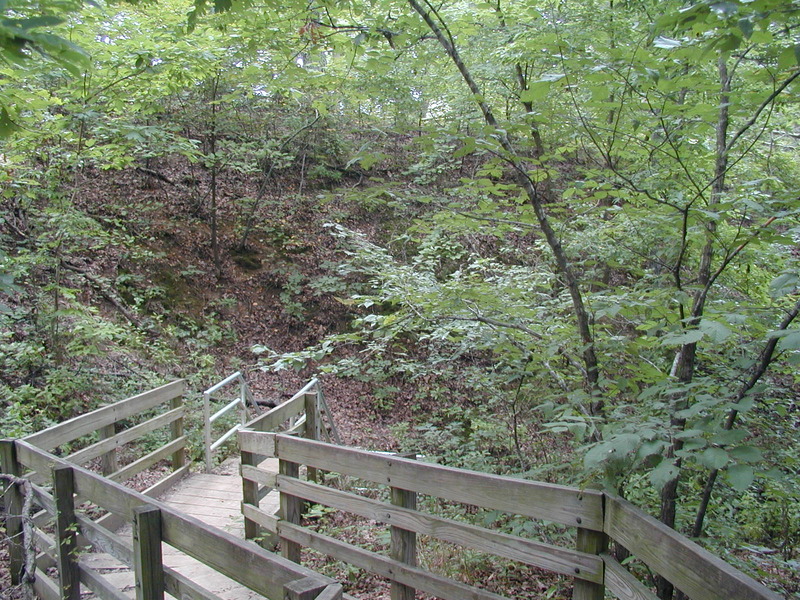 This is a lookout "tower." The storage building is actually original for the most part, making it the oldest thing on the premises. In old pictures, it had a rounded top, not the pointy one seen today. 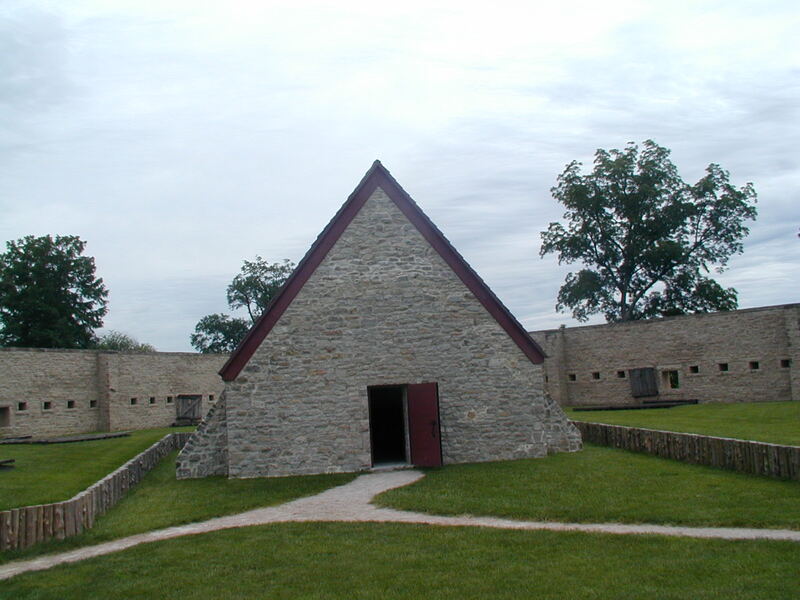 The buildings inside the fort are all "ghosted," which means that they didn't actually reconstruct the buildings, but only put the framing up. This is the barracks I think. 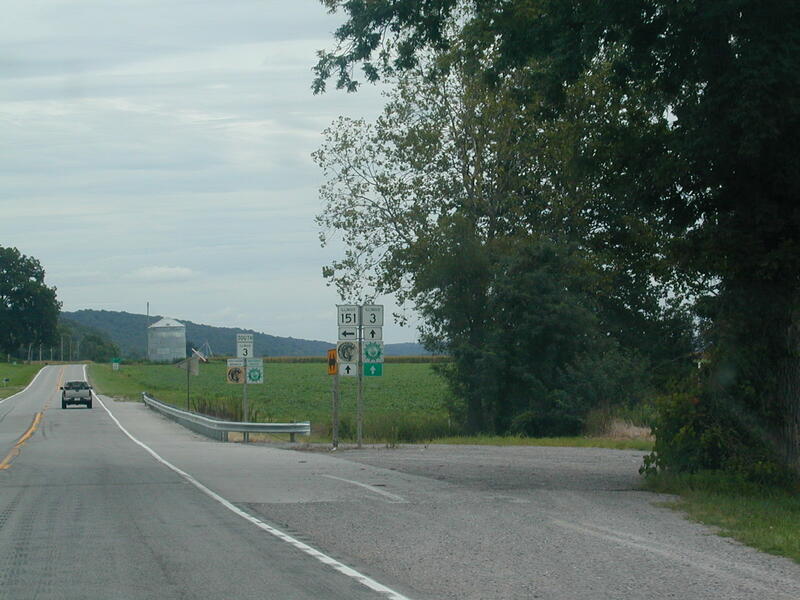 IL 155 ends at the fort, which is just west of the town called Prairie du Rocher. 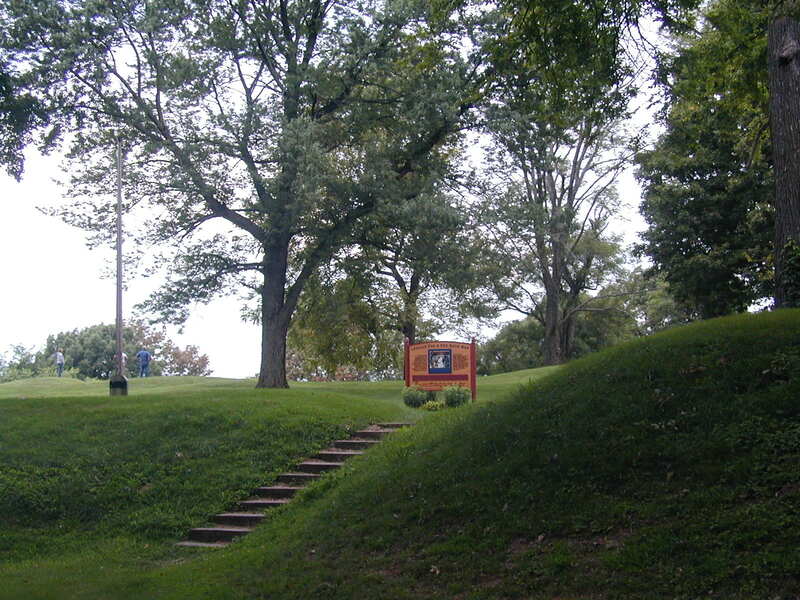 This is the site of Ft. Kaskaskia, where American troops were stationed. Lewis and Clark stopped here on their way to the Pacific looking for men to go with them. 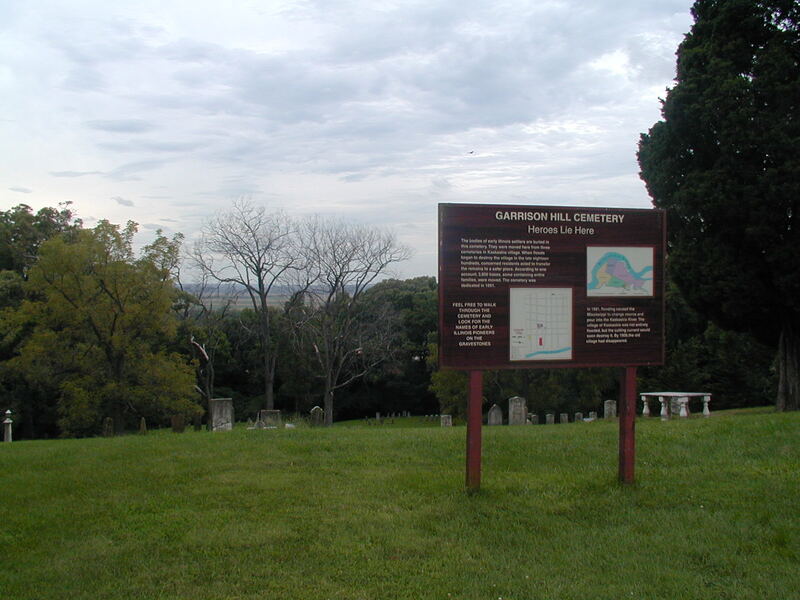 At the fort, there is a cemetery overlooking the Mississippi. You can see Missouri through the trees. 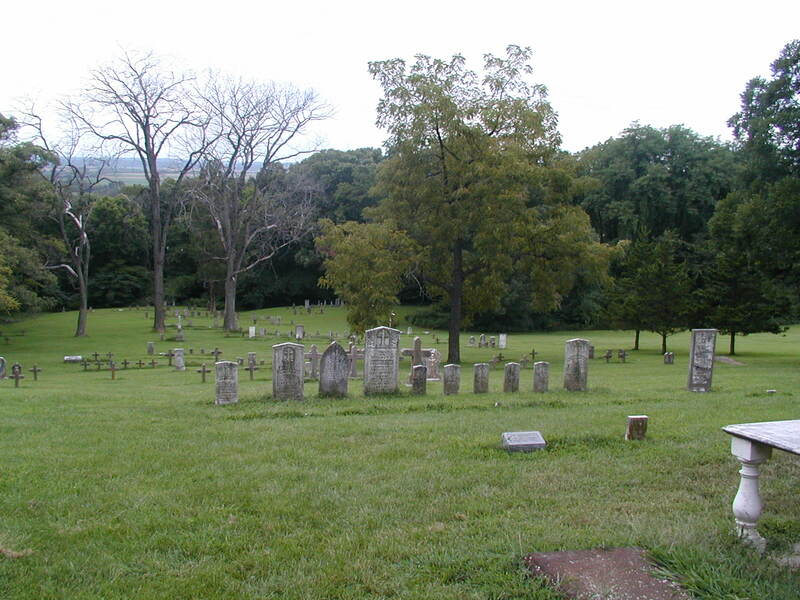 More cemetery. These are the old earthworks of the fort. 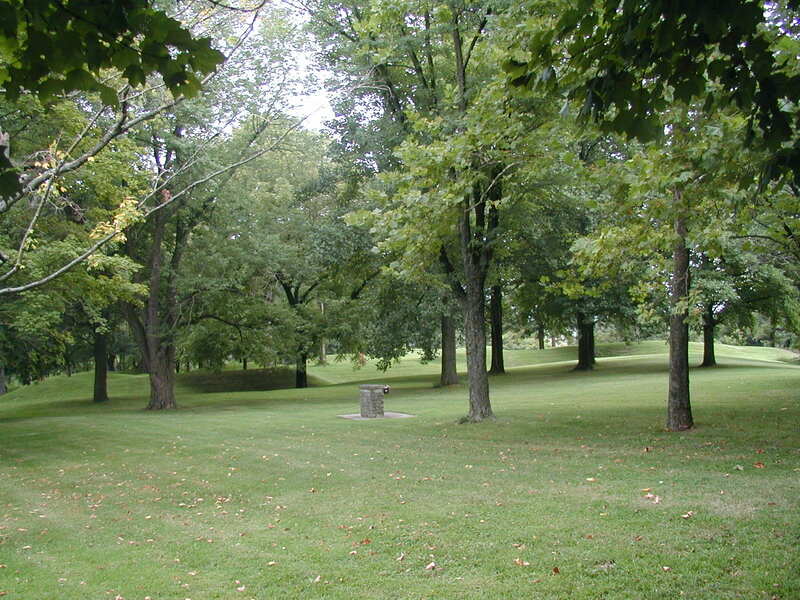 That is, the mounds you see are the foundation of the old fort. 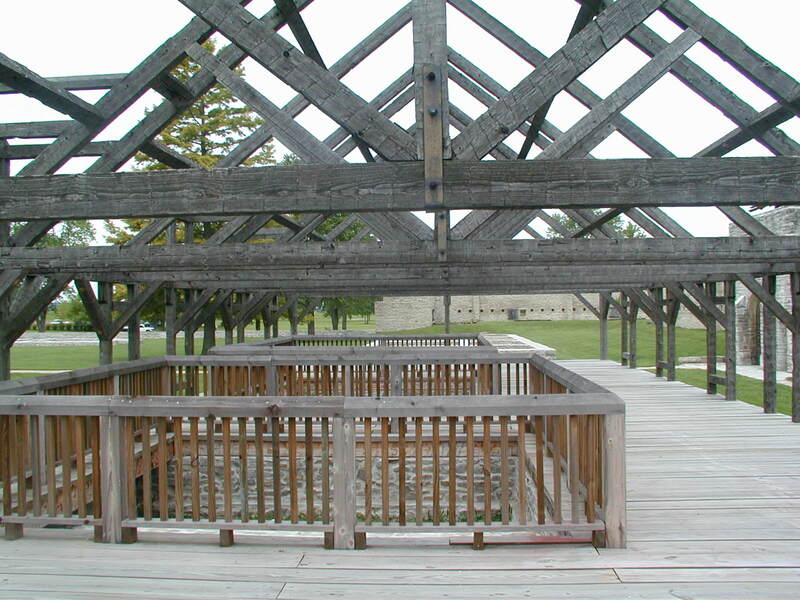 There is no reconstruction here, like at Ft. de Chartres. Oh look! We're at Pierre Menard's old home. Who was Pierre Menard? Well, he was the first Lt. Governor of the state of Illinois. Anything important that he did? Not according to the tour guide of the home. 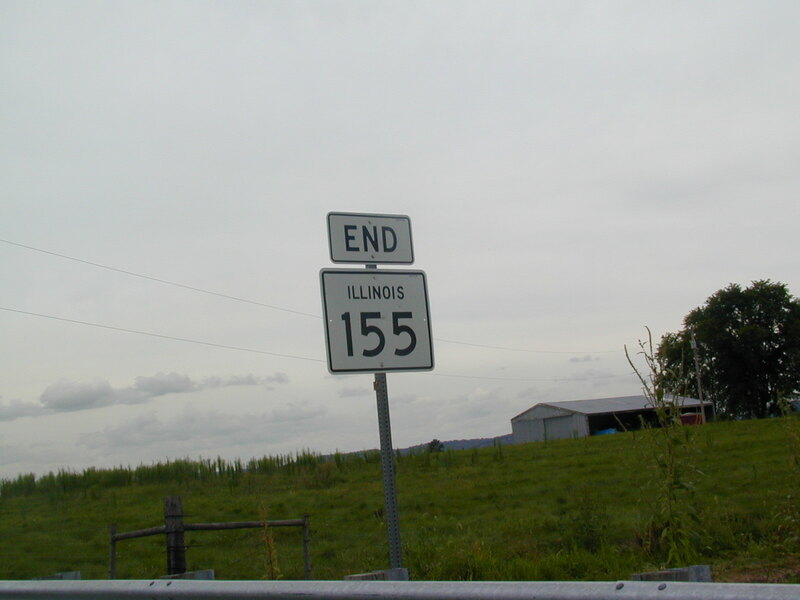 I took the back roads out of Menard's house and came to the end of IL 150 west as it crosses the river into Missouri, becoming MO 51. 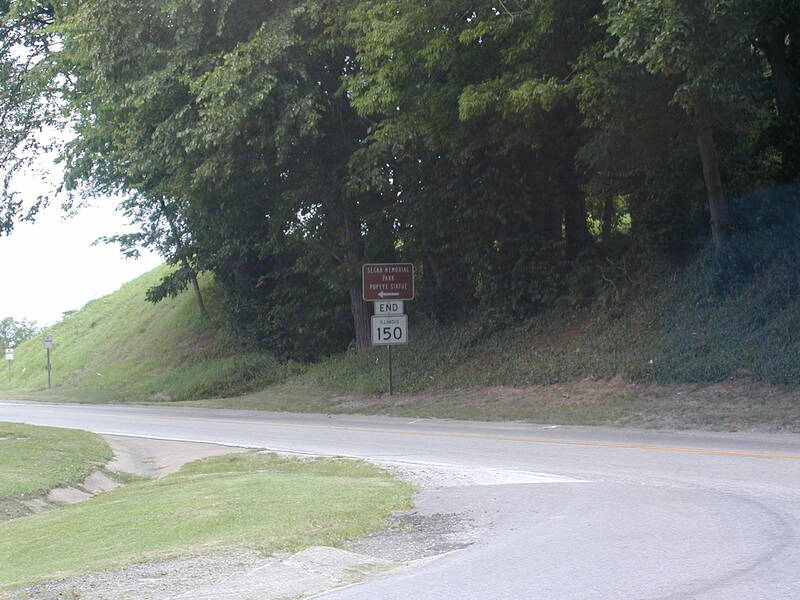 I took MO 51 south to a county road and followed it into St. Genevieve, then crossed back into Illinois on the road that goes to Kaskaskia. 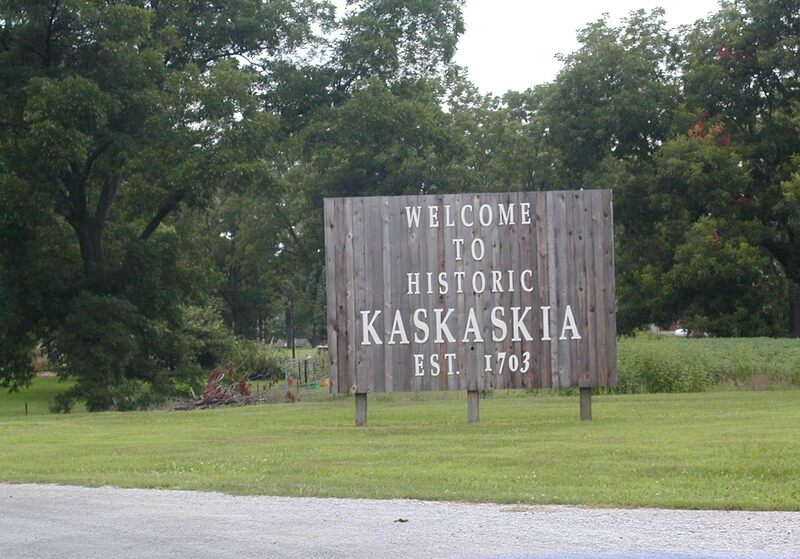 You can only get to Kaskaskia from Missouri. Interesting, eh? 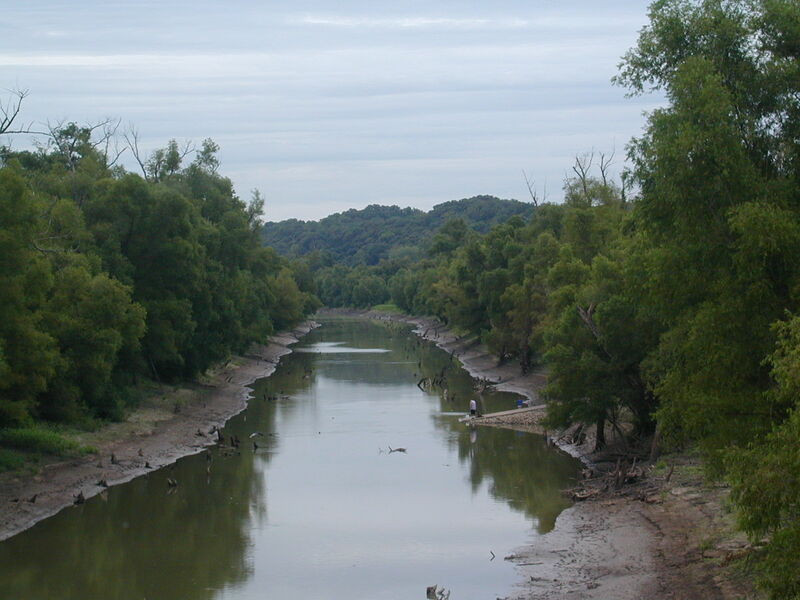 This is the former Mississippi River near Kaskaskia. The river changed courses in the late 1800s leaving this little waterway behind. 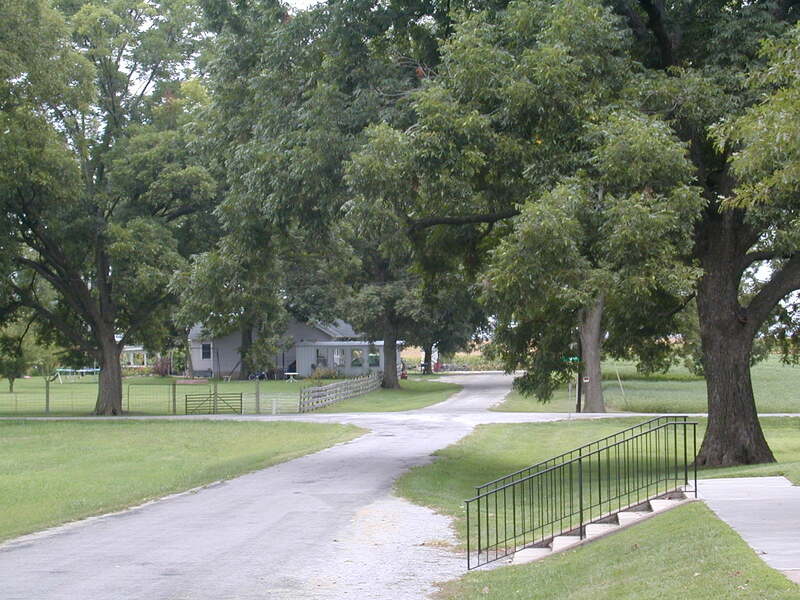 This is the border of Missouri and Illinois right here. The new route of the Mississippi has cut of Kaskaskia from the rest of Illinois. 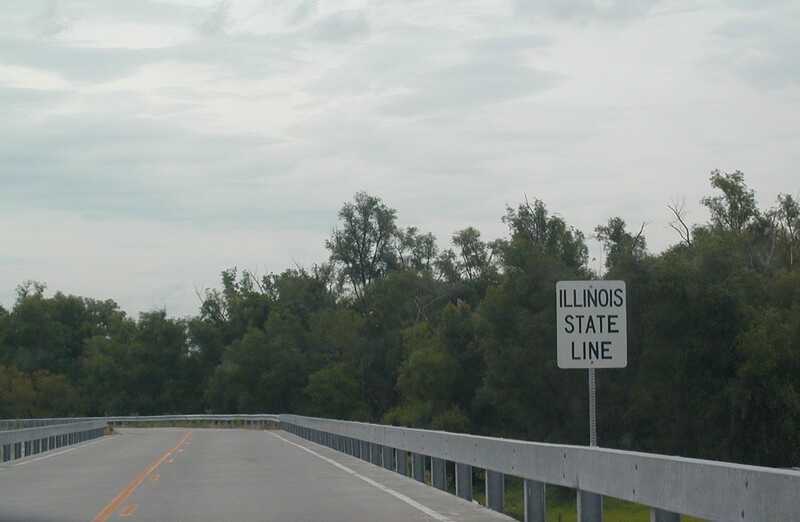 The Illinois State Line. I was welcomed into the town! 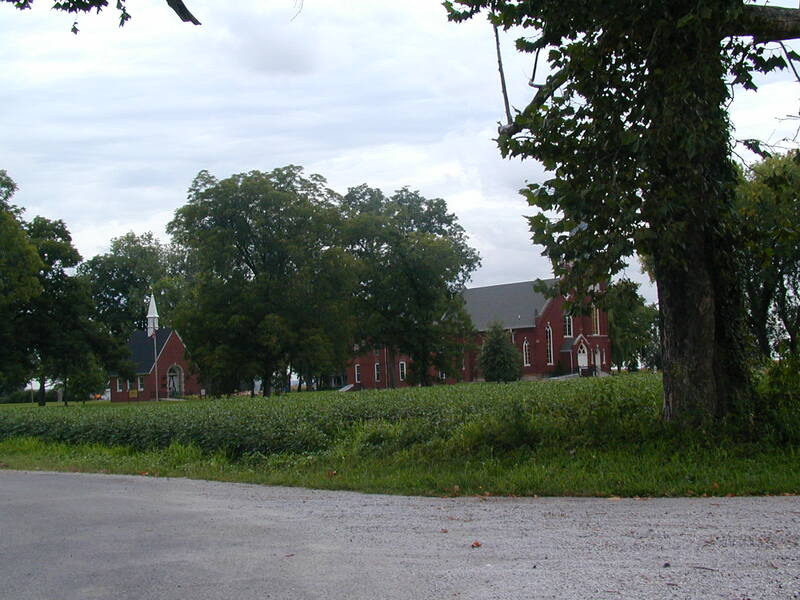 When there are fields of soybeans in the middle of town, you know that this place is not a bustling metropolis. Or even a small town. There were a couple of houses and this church and that's it. No people were out, except a guy mowing the lawn down the road from his house. The "Liberty Bell of the West," the Kaskaskia Bell. 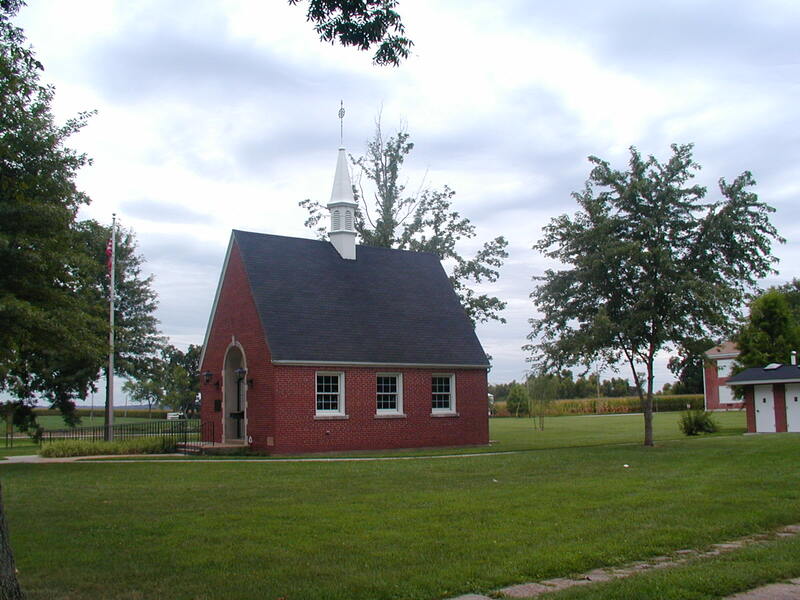 When the town fell from British control on July 4, 1778, Americans rang the bell. This friendly dog came over to investigate and say hi to me. She even tried to go for a ride in my car. Silly dog. 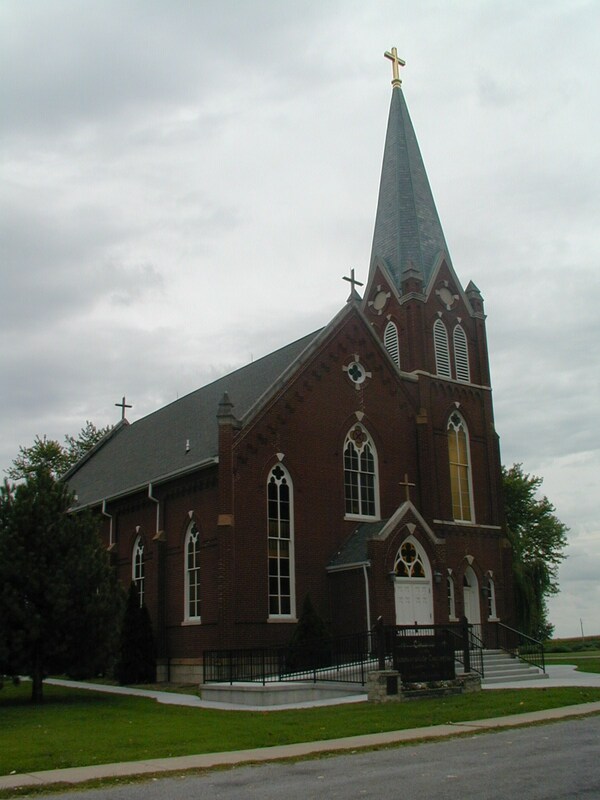 Founded in 1675, this is the Church of Immaculate Concetion, located right next door to the Kaskaskia Bell. It looked like the newest structure in town. 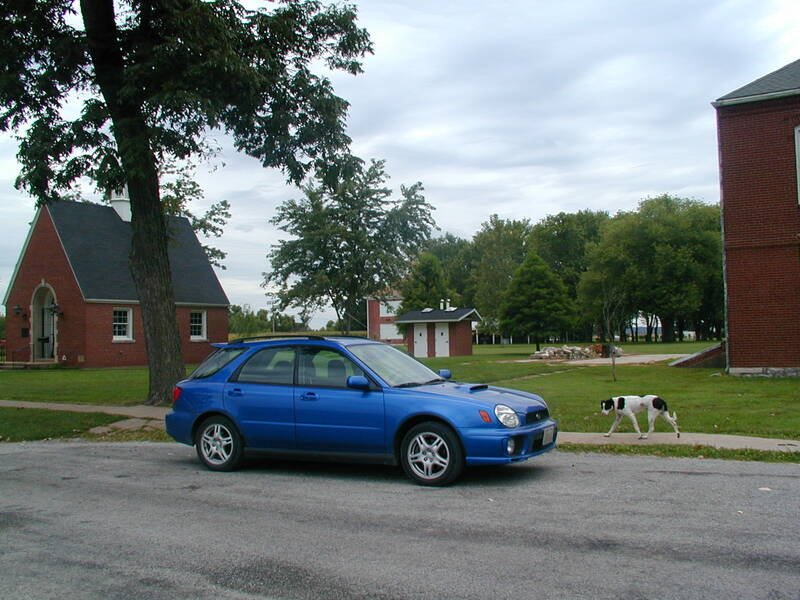 There's the dog about to go into my open door and try to drive off. 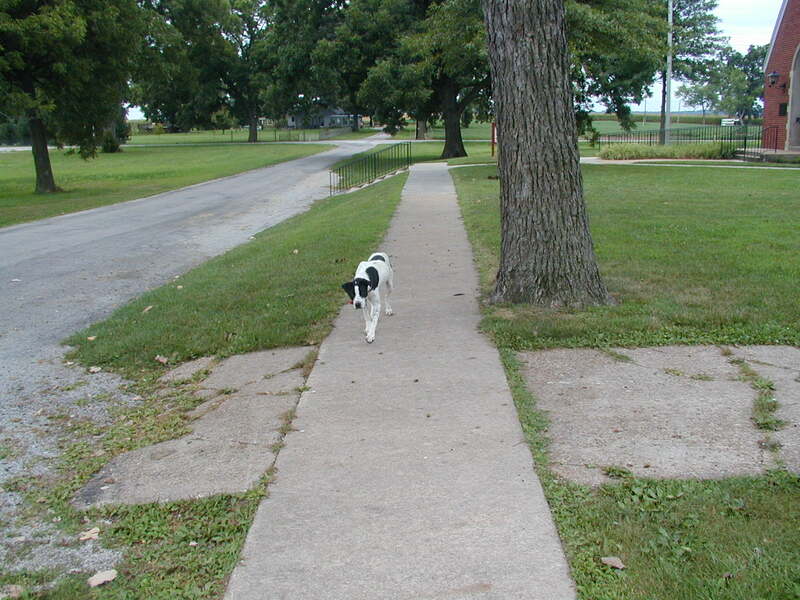 This is pretty much all there is to Kaskaskia. It is surrounded by levees to keep out the floods of the Mississippi, although that didn't work in 1993. A look to the north from the Kaskaskia Bell. 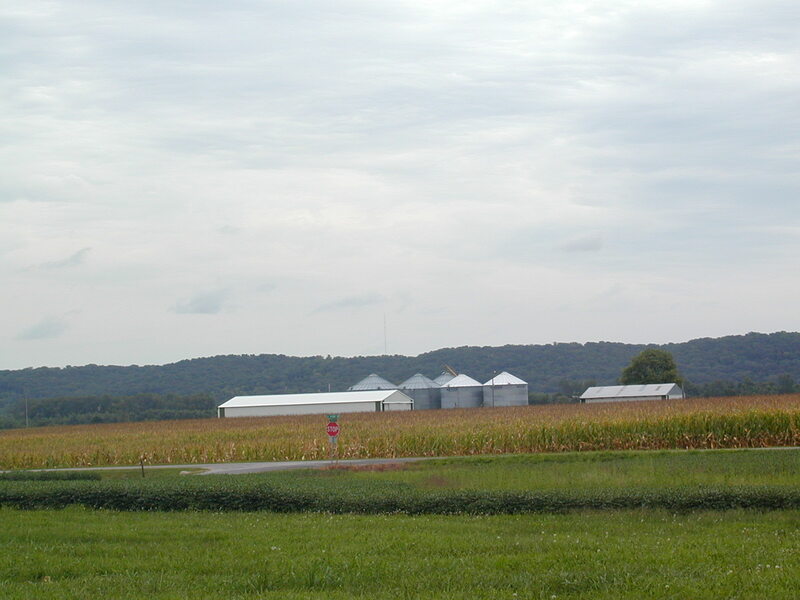 The river is in between the farmland and those distant bluffs. Back on the mainland, this is IL 3 SB at IL 151. 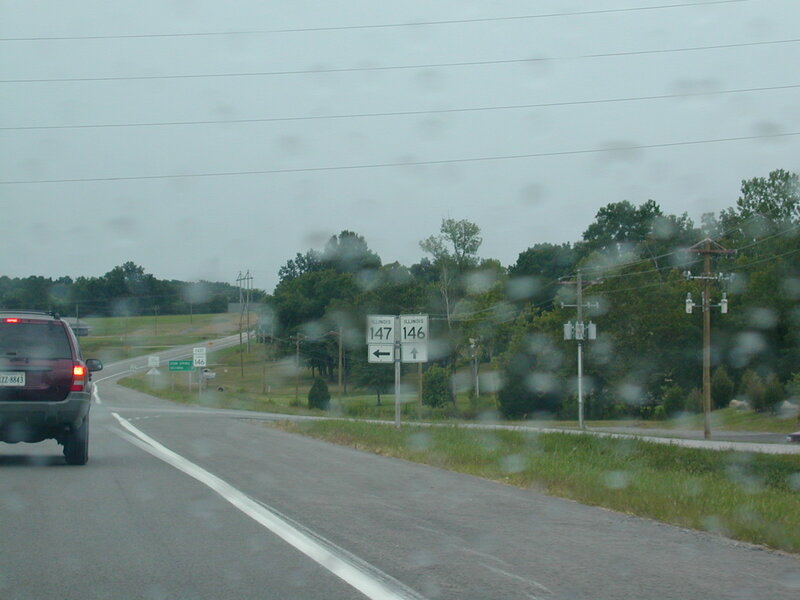 Hmmm... starting to rain at the junction of IL 146 and IL 147 near Vienna. 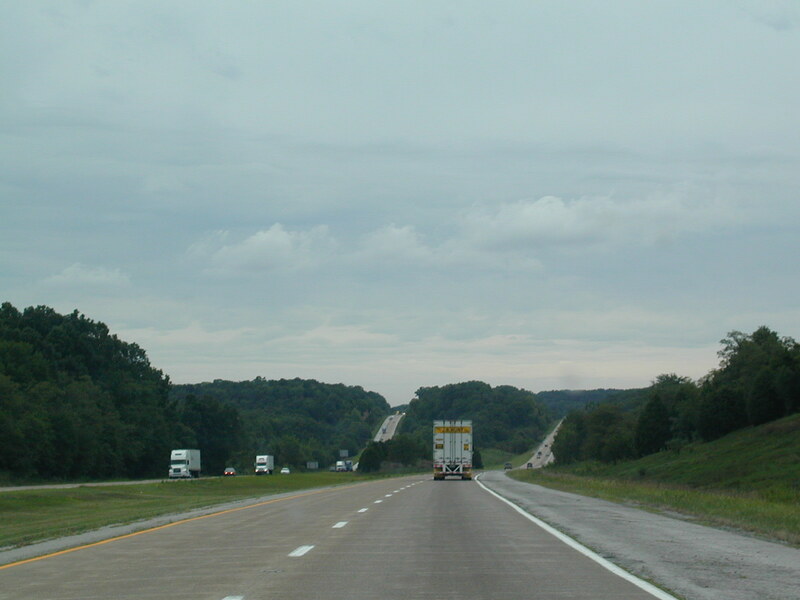 I-24 WB north of Vienna. 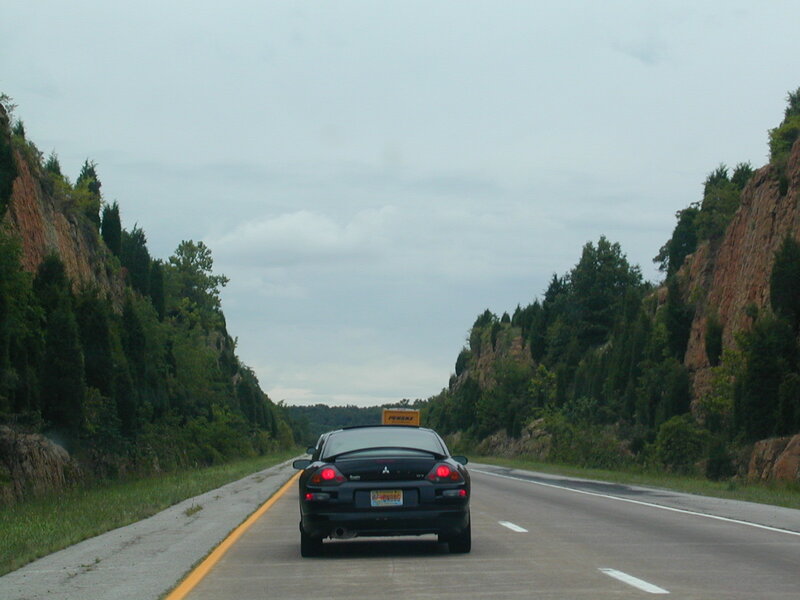 Some cool rock cuts on I-24 WB.